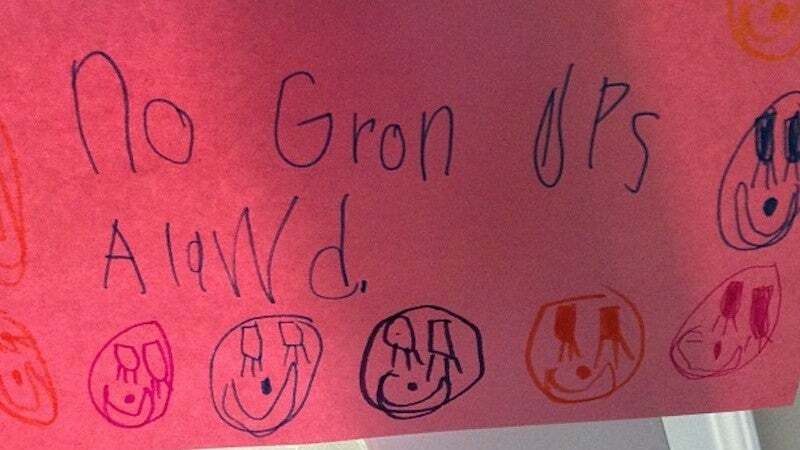 Little kids spell the darnedest things, am I rit peepl? As a parent, you might have some concern or may even be tempted to get out the red teacher pen, but know that "invented spelling" is perfectly normal, and may even be the key to early reading success. A study published this year in Developmental Psychology found that kids in kindergarten who made more "self-directed attempts to represent words in print" — basically, those who tried to write words using just their knowledge of letter sounds — had stronger literacy skills in Year One. The findings seem to support something that some educators have been preaching for years: That stories and writing with purpose are what make reading skills flourish, not flashcards, worksheets and Letters of the Week. When inventing a spelling, the child is engaged in mental reflection and practice with words, not just memorising. This strategy strengthens neuronal pathways so as the reader/writer becomes more sophisticated with invented spelling, she or he is developing a repertoire of more and more correctly spelled words at the same time. These words are stored in the word form area of the brain where the child can retrieve them automatically as sight words for reading and eventually as correctly spelled words for writing. The problem is that children who know one hundred sight words can still be missing another key component of reading: comprehension. Isolated from their context, words don't mean much. That's why it's harder for adults to remember a list of reading words than a grocery shopping list or a group of words paired with visual representations. It's also why it's hard for children exposed to random sight words to use them correctly. Let your little kids rit gud wrds. And keep the best ones for them to read back in 20 years. That is indeed good information, thanks for sharing it! I'm also told that old-fashioned script-writing is neurologically extremely good for literacy skills. What *is* the optimal stage to bring the spelling-hammer down?